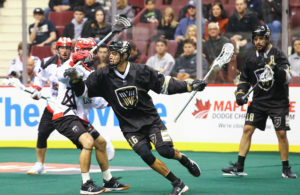 Height has its advantages and Mammoth veteran 6’5” tender Dillon Ward closed the door on the Vancouver Warriors in the fourth quarter of Country Music Night defeating Vancouver 11-7 in NLL league play as both battle for the play-offs. 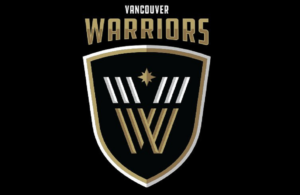 Despite the fact that Vancouver got off to a quick lead the Mammoth scored twice in the first minute and a half that saw Delta players Logan Schuss and Mitch Jones give the Warriors a 2-0 lead. The Mammoth managed to pull even with Ryan Lee and Kyle Killen tying the match at 2-2, that quickly turned as Vancouver rebounded and grabbed the a 3-2 lead on a single from James Rahe. Prior to the end of first quarter Ryan Lee and Killen each scored (second of the game) giving the visitors the a 4-3 lead ending the quarter. 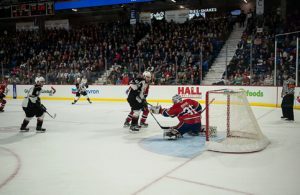 Warriors Keegan Bal tied the game at four early in the second quarter only to have the Mammoth score what they thought was the go-ahead goal, but upon further review by a Coaches Challenge it was disallowed. The Mammoth managed to score three straight goals before half ended taking the lead as former Delta Islander Junior A player Eli McLaughlin gave them a 5-4 lead at 12:27, only to be followed by Jeff Wittig and Cory Vitarelli collecting goals 54 seconds apart extending their lead to 7-4 at the half. The Warriors had a strong third quarter that saw Logan Schuss score 58 second in (second of the game) cutting the score to 7-5, only to have the Mammoth get it back as Jeff Wittig (second of the game) keeping them in front of a pressing Warriors Club. Warriors Justin Salt scored on a breakaway cutting the the lead to 8-6, while Delta’s Logan Schuss notched his third of the game ending the quarter with a 8-7 oscore. Mammoth sealed the game winner as Kyle Killen collected his hat trick goal with Delta’s Eli McLaughlin’s grabbing his second of the night with under four minutes remaining. Shots in the game were 47 each that saw Mammoth “tender” Dillon Ward stop make 40 saves, while Vancouver’s Eric Penny was solid in defeat making 36 saves. 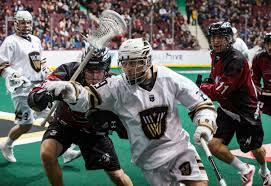 Colorado improved to 5-8 on the season and Vancouver fell to 4-9 in the standings. 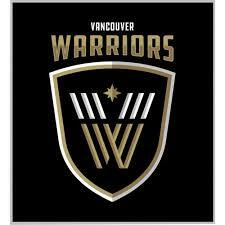 The Warriors return home April 14th as they play host to Philadelphia in a matinee game at 3 pm at Rogers Arena. Sales/Sports Writer for Sportswave Productions.